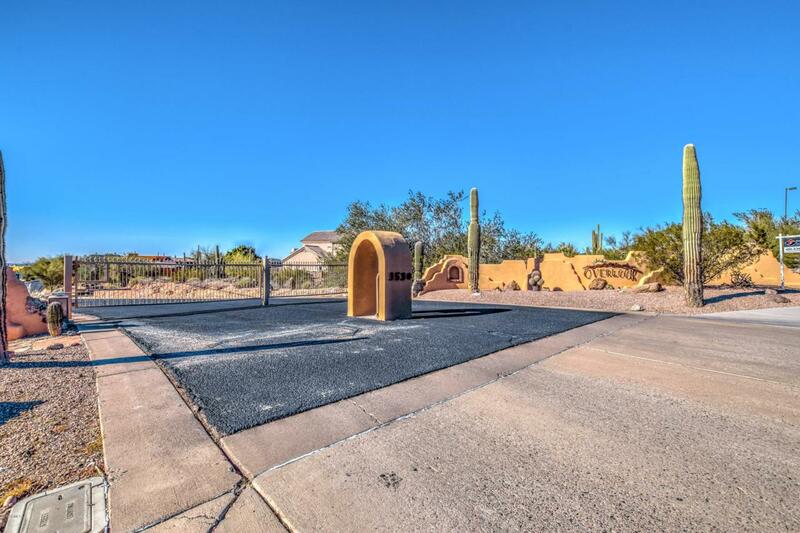 *****Amazing Views**** Just try and find a Custom Home in gated community with almost an acre lot(36,320) for under 700K...and this is at 600!! 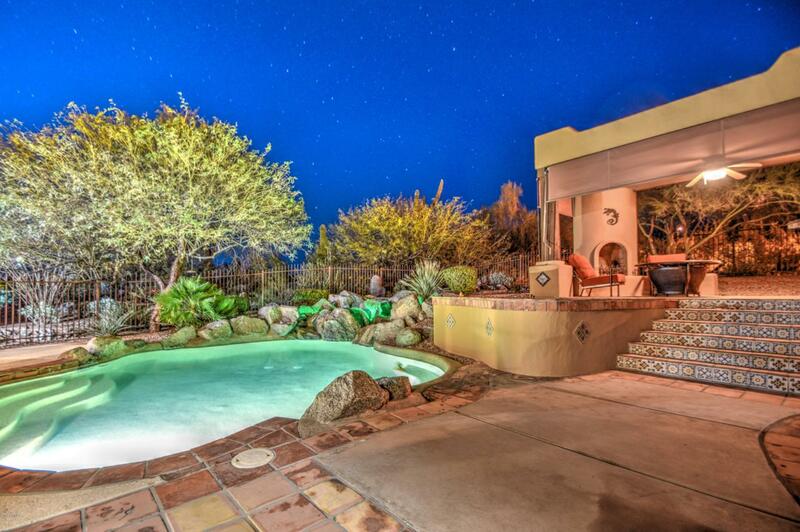 Stunning Santa Fe/Territorial style home is perched on a expertly chosen, private, cds lot with Breathtaking city, sunset and mountain views from every window in home, not to mention the 2 covered patios and balconies off bedrooms! 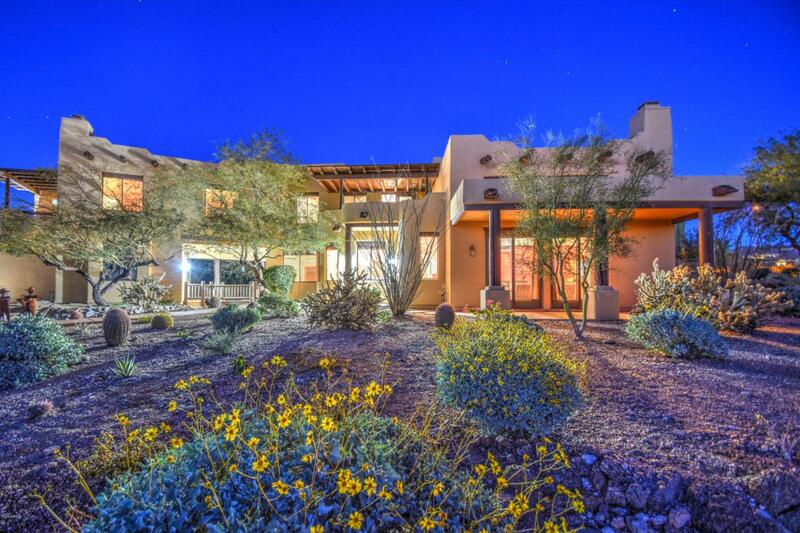 Great room is huge and features a beautiful Kiva fireplace, peeled log vigas, wood custom doors, and views of the meticulous maintained, lush, mature Sonora desert landscape. Remodeled eat in kitchen with a massive island, new cabinets, granite counter tops and stainless steel appliances, check out the new lighting & plumbing fixtures. 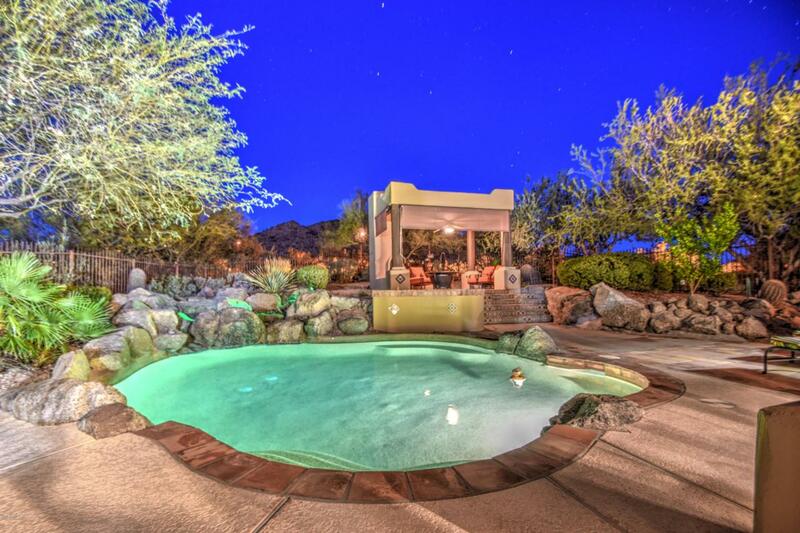 Outdoor dining Ramada with fireplace, pebble tech pool with rock water fall.